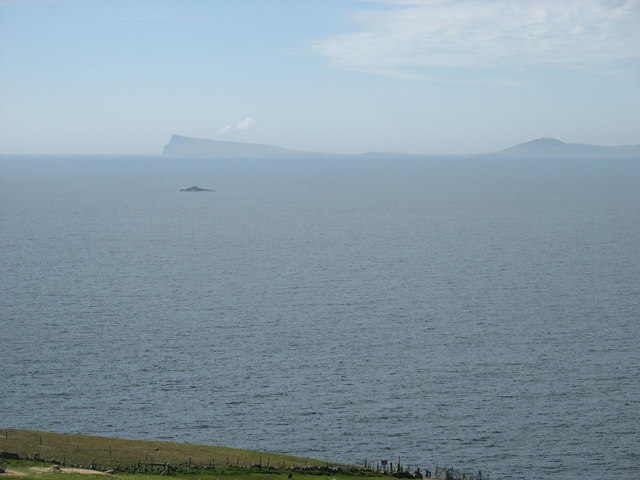 In this photo taken from the south of Whalsay, the cliffs at Noss Head, 20km distant in HU5539, are clearly seen left of centre. The tiny islet of Muckla Billan, 4km away, is in line with the cliffs. Sorry that I could not get any closer - but as this was the first image for the square I thought it worth submitting!